I know… We Play Instruments N Sh!t 2 years ago but never put out a video. These days with visual albums being produced & lyric videos being so popular, 4 things happened that led to this video. 1.) we did a meet n greet before our show in Laško, Slovenia 2 weeks ago & were surprised by a stunning acoustic performance of Playing Fair by 2 young talented friends. 2.) I found the app #prisma‬ that made photos look like comic book images. 3.) I found another app #CapDis that allowed me to put comic text balloons on said comic book images. 4.) I went crazy. 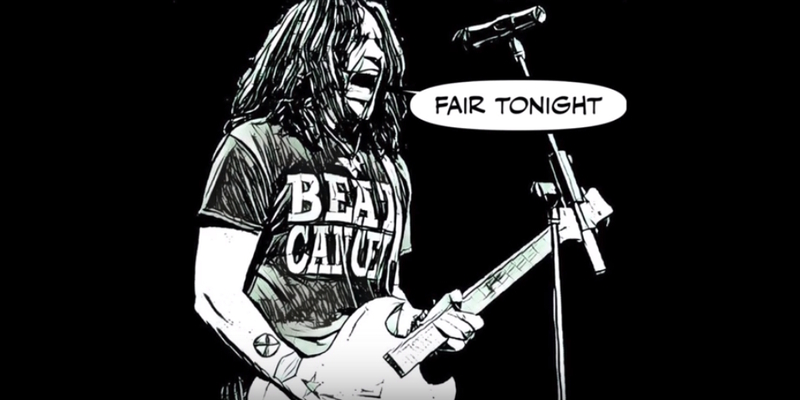 So.. here is the lyric video for Playing Fair. I thank all the photographers who’s photos I used. you are thanked in the description. & to the fans & friends that we inspire, never forget that you inspire us.